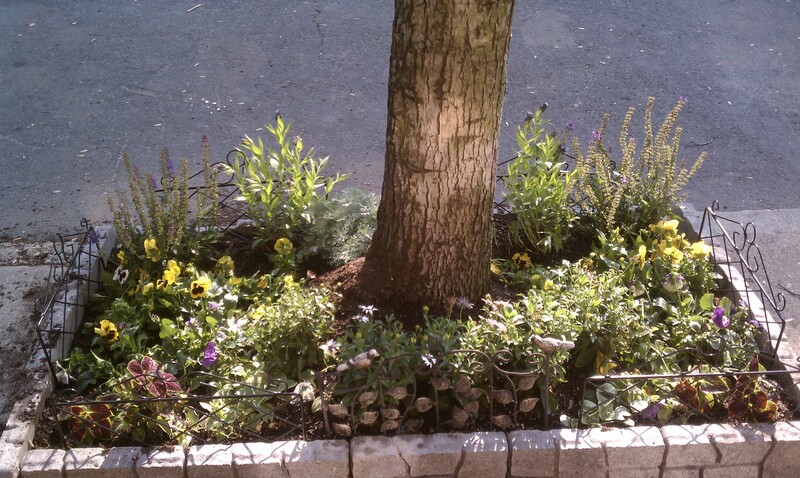 It took just 6 weeks for my tree pit garden to show significant wear and tear. • And the beautiful hellebore had grown tall and wild with all the rain and the stems had bent under its own weight. There are no pictures. It was a bit gruesome. 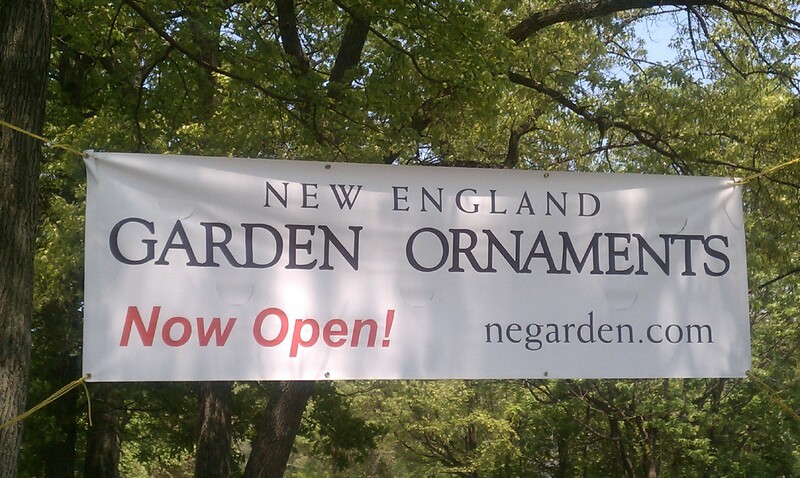 So I’m in Sudbury today visited with a bright and talented lady with a great name – Gray Baldwin – who owns New England Garden Ornaments. I interviewed her and you’ll see a feature on her and her fabulous containers and pots in June. http://www.negardenornaments.com/ But I digress. 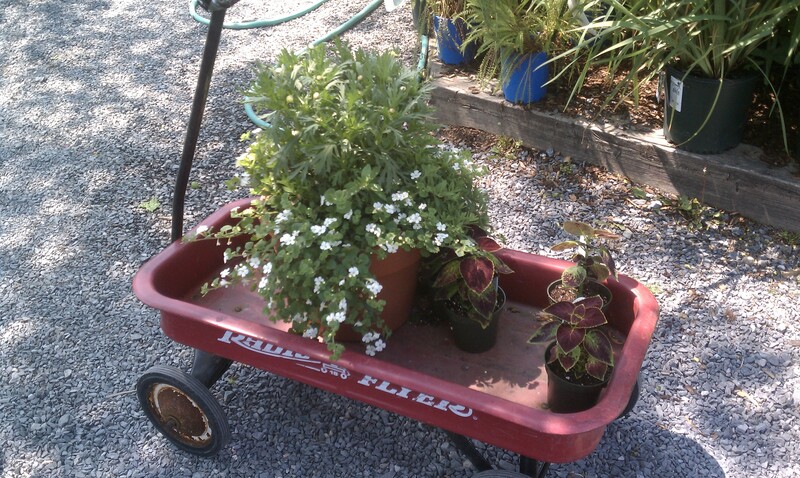 So I pass Russell Garden Centers and had to stop in. I had heard great things about this Garden Center from several horticulturalists and figured I should get some new plants and get busy fixing my garden. WOW! That’s the best word to describe Russell’s. Full of flowers and very helpful and knowledgeable people. 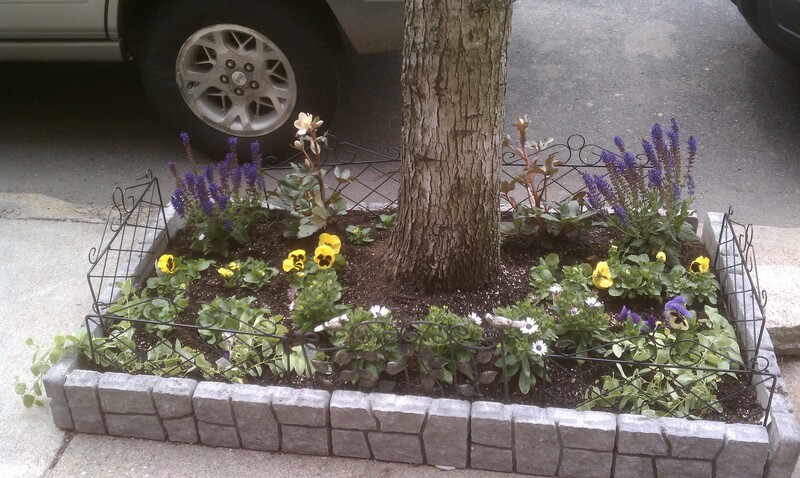 I purchased Amsonia Blue Star and Silver Mound to replace the hellebore and a Proven Winner Colorblaze Dipt in Wine Coleus to replace the ivy. Ta da!!! I recemented the pavers into an upright position and called it a day. It was a gorgeous day to plant and the garden looks full and lush and lovely again….